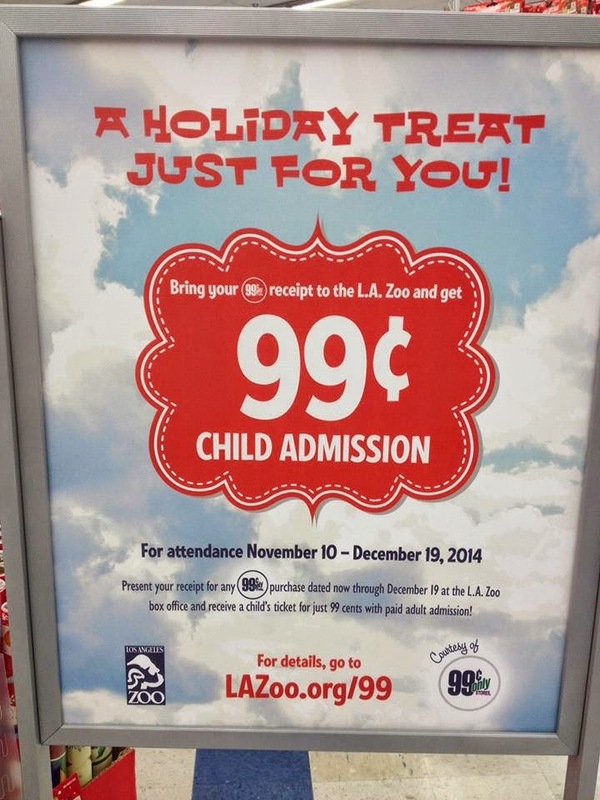 & receive a child's admission for only 99¢! Regular zoo adult admission is $19, seniors $16, and children $14. Children 2 and younger are free. Families also have the option of investing in an Los Angeles Zoo annual membership for the special Montebello Mom price of $95 that allows for unlimited visits for 2 adults & all the children in a household, and has the bonus of providing two free guest passes to use throughout the year. Click here for more information on discounted annual membership. Thanks to reader, Joanne K. for sharing this offer!